The Discovery is the largest, most practical car in Land Rover’s range, designed to be an unfaltering workhorse for families who have a thirst for adventure to rival David Attenborough. It offers seven seats, a huge boot and go-almost-anywhere capability. And, of course, in a world of copycat SUVs, it comes with the kudos and authenticity of the Land Rover badge, the Levis of the 4x4 world. Much was changed for this, the fifth generation of Discovery. But then it needed to be. In 2019, there are desirable and capable cars to choose from, including the accomplished Audi Q7, sporty BMW X5, new Mercedes GLE and excellent Volvo XC90. These sorts of SUVs are some of the largest and most expensive money can buy. The Discovery range costs from more than £47,000, and has been refreshed for 2019, with additional standard equipment. Drivers who don’t want to spend this kind of money should consider the Skoda Kodiaq or even Land Rover’s (slightly smaller) Discovery Sport. There’s a choice of one four-cylinder, turbocharged petrol engine, or four-cylinder or V6 diesel engines. All come with four-wheel drive as standard, not to mention the Discovery’s impressive ground clearance of 28cm. Arguably the core appeal of this Land Rover is its interior. The company claims it can seat seven people in comfort, and sure enough, it can. (Buyers can choose to have just five seats, should they wish.) Better still, those in the rearmost, third row of seats (which lift out of the floor manually, or at the touch of a button, or via a smartphone app, if you pay extra) don’t have to be children to relax in comfort. Adults can get in there easily enough and with the middle row of seats adjusted slightly there’s a fair amount of knee and legroom. The problem then is that with all seven seats in use, the boot goes from huge (1,231 litres) to snug. Only a few bags of shopping will fit in the remaining space. In the middle row, there’s lots of room, plenty of storage areas and a couple of handy USB charging ports. The outer seats have Isofix points, but when each is carrying a high-backed child seat, an adult can barely squeeze between, which is disappointing in such a large car. Up front, the Discovery feels great in some areas, disappointing in others. The high seating position, throne-like chairs with adjustable armrests and expansive windscreen give one of the most commanding, and comfortable, views of the world around you. And there is no shortage of stowage space. However, we think rivals like the Audi Q7 and Volvo XC90 better reflect their cost with stylish layouts that feel more upmarket and better made. By contrast, some of the plastics in the Discovery feel a bit cheap, especially around the centre console and transmission tunnel, the doors rattle when closed and some of the shut lines on the car’s bodywork leave room for improvement. Also, Land Rover’s 10inch touchscreen (standard on all models) and associated displays and menus for the audio, Touch Pro Navigation (standard on SE trim or above), phone and more besides is good but not the best of its kind. And in this part of the market, such systems hold great sway with drivers. We’d like to see more equipment come as standard on the lower spec models. Land Rover made recent improvements, for post 2019 models, but even so it’s an eye-opener to compare the Discovery with, say, Skoda’s seven-seat Kodiaq and see how much money you could save without sacrificing equipment. Happily, the driving experience has moved on a great deal from the previous generation Discovery. That’s been helped by losing up to 460kg in weight. The air suspension smothers poorly surfaced roads well, keeps the car reasonably level and allows it to be extremely versatile on a variety of terrains. You can wade through water up to 90cm deep, should you be so inclined. And with all manner of on-or off-road driving aids, as well as permanent four-wheel drive, a low range gear setting and adjustable ride height, plus the latest Terrain Response 2 Auto system – for everything from sandy beaches to rocky climbs – it’s as capable as cars of this size come. On the road, everyone on board is always conscious of the car’s sheer size. It completely fills a lane, giving cause for involuntary intakes of breath on the average country road. It’s a comfortable cruiser though. Long distance holiday runs would be a breeze, and the eight-speed automatic gearbox helps with fuel economy – a little. We achieved 32mpg during our time with the most efficient, 2.0 SD4 version, an improvement on the previous Discovery. There is no plug-in hybrid or hybrid model in the Discovery range, or an electric version, so the best for fuel economy is the four-cylinder diesel engine of the SD4. It can return up to 33mpg, and we almost achieved this during day-to-day driving. Unless you’re feeling particularly flush, we’d opt for the most efficient engine in the popular SE trim. It’s well equipped, following the updates for 2019 models, and picking the more expensive HSE trim level would cost an extra £8,200, which doesn’t strike us as money well spent. For the ultimate in pulling power and effortless acceleration – especially when towing or loading the car with people, a roof box and bikes – the more powerful V6 diesel engine delivers the goods. We don’t consider this to be a bad car, but within the range there’s a definite compromise that comes with switching to petrol power: poor fuel economy. The claimed consumption is 25mpg, but you’ll be lucky to better 20mpg. January 2019 Updated range for 2019 features improvements to standard specification as well as streamlined engine range. The Discovery is offered in four trim levels. The most affordable is S. SE is more popular, while HSE costs significantly more. The most luxurious version is the HSE Luxury. As standard, every Discovery is fitted with an automatic gearbox. It has eight gears, and drives all four wheels. Land Rover drivers may not be surprised, but owners of other makes of SUV may be disappointed to find that the company doesn’t offer a hybrid, plug-in hybrid or electric version of its Discovery. For a large, electric SUV, try Land Rover’s sister company, Jaguar, and its acclaimed I-Pace, or Tesla, and the innovative Model X. Audi’s e-tron is now available to order, too, while both BMW and Mercedes have shown their electric SUVs. So Land Rover has some catching up to do. It means the most efficient engine for anyone buying a Discovery is currently the 2.0-litre, four-cylinder turbocharged diesel. Known as the Ingenium, it has been known to attract criticism in some Land Rover and Jaguar models, for being noisy. But in this specification, in this car, it’s a good engine. The accelerator pedal feels lazy and unresponsive in the first part of its travel, but once you get used to this you can drive around it. For such a large, heavy car (nearly 2,200kg) performance is respectable and at no times does the Discovery feel like it’s underpowered. That’s helped by the fact it delivers all its muscle (368Ib ft) from just 1,500rpm. Land Rover says it can power the big car from standstill to 60mph in 8.3 seconds. It also settles down to a quiet cruise on the motorway, and the eight-speed automatic gearbox behaves well. We saw an average of 32mpg during our test. The other diesel engine is a 3.0-litre, V6 unit. It has even more muscle (516Ib ft), is nicer to listen to and can nip from 0-60mph in 7 seconds. Fuel economy is 31mpg. But if it were our choice, we’d save the money and stick with the accomplished four-cylinder motor. Drivers considering a petrol-powered SUV can opt for the 2.0-litre, four-cylinder unit. It has less muscle than either of the diesels, and economy falls to 25mpg. Those who want to use their SUV to tow should note that the petrol model hauls a maximum of 3000kg whereas the diesels can manage 3500kg. 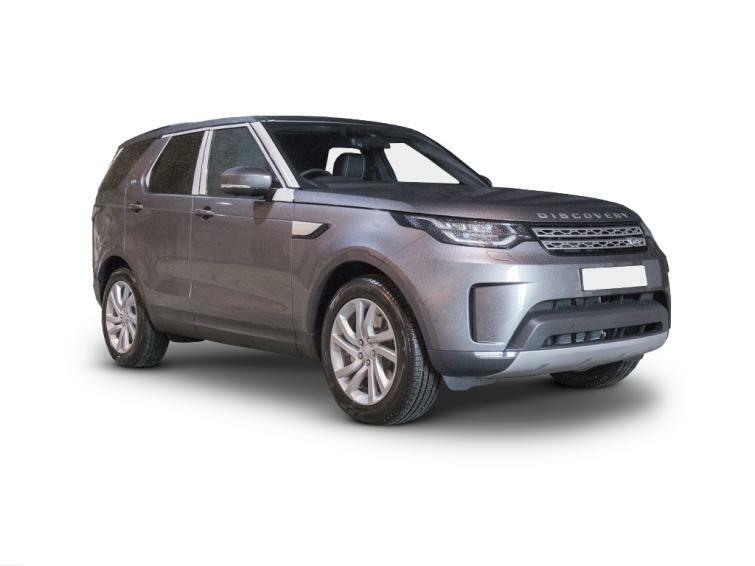 The entry-level trim is S. This gives owners alloy wheels, the Touch Pro entertainment system, Lane Keep Assist, heated electric door mirrors, front and rear parking aids, a rear-view camera, powered tailgate, heated windscreen, air conditioning and cruise control. Stepping up to SE adds LED lights with high-beam assistance, power-folding door mirrors, automatic windscreen wipers, leather trim, an uprated, 250W, 10-speaker audio system, two-zone climate control and extra parking aids and traffic monitoring systems. The Anniversary Edition gains little over the SE, so we’d either stick at SE or move to HSE – although it’s a hefty price increase. HSE adds larger, 20 inch alloy wheels, keyless entry, a panoramic glass roof, a 380W Meridian sound system, adaptive cruise control and blind spot assistance. HSE Luxury brings an opening glass sunroof, four-zone climate control, back seats that fold at the touch of a button, heated and cooled front seats, heated rear seats and steering wheel, plus 8-inch screen for a rear entertainment system. Land Rover offers a three-year warranty with its new cars without any restriction on mileage. However, most drivers will have heard tales told by many that have owned a Land Rover of unreliability and poor dealer standards. Sure enough, Land Rover’s dealers finished in 28th, or last place, for consumer satisfaction in Auto Express’ 2018 Driver Power Survey. However, Land Rover as a manufacturer was ranked in seventh position in the same survey. Meanwhile, the comparatively new Discovery did not feature in overall vehicle rankings. The Discovery arrived in UK Land Rover dealerships in February, 2017. Initially, it was offered with a 240hp, four-cylinder diesel engine, known as Sd4. There was also a 258hp, 3-litre, V6 diesel – the TD6 - and a 340hp, 3-litre, V6 petrol, called Si6. From June, 2018, the V6 diesel was replaced with a twin-turbo V6 diesel with 306hp – again known as SDV6. All are still comparatively new, and prices of used models reflect as much, with the earliest, higher mileage SD4 and TD6 models dipping just below £40,000. The more powerful, newer SDV6 models cost more than £50,000, and those after a petrol Si6 can find one or two just below £50,000. Significantly, Land Rover offers a two-year, unlimited mileage warranty through its official used car programme. There are currently 163 Land Rover Discoverys available on BuyaCar, with prices ranging from £30,750 to £72,125 for nearly-new models. The Discovery is the largest, most practical car in Land Rover’s range, offers seven seats, a huge boot and go-almost-anywhere capability. The Discovery range costs from more than £47,000, and has been refreshed for 2019, with additional standard equipment. There’s a choice of one four-cylinder, turbocharged petrol engine or four-cylinder or V6 diesel engines. Arguably the core appeal of this Land Rover is its interior. And while it looks superb in pictures, some of the plastics in the Discovery feel a bit cheap, especially around the centre console and transmission tunnel. The rearmost, third row of seats (which lift out of the floor manually, or at the touch of a button, or via a smartphone app, if you pay extra) can fit adults easily enough and with the middle row of seats adjusted slightly there’s a fair amount of knee and legroom. If all seven seats are in use, the boot goes from huge (1,231 litres) to a snug 258 litres.